For folks of a certain generation (cough, Millennials), hearing the song “Fly Like an Eagle” takes you back to a very specific moment in time. That moment, of course, happens in the 1996 classic film, Space Jam. 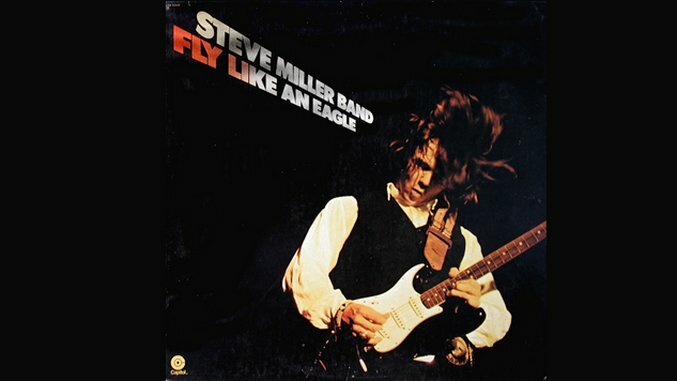 Most of those Space Jam kids would eventually find out that the Steve Miller Band actually wrote “Fly Like an Eagle” in 1973. Although the band plays a trippy version during this show in September 1976, the official version of the song wasn’t actually released until December of that year on the album that took its name. The Steve Miller Band was always kind of a jammy band, this particular performance of “Fly Like an Eagle” highlights that element. The band throws blips and boops, Nintendo game-worthy laser sounds and an overdose of reverb into the musical cauldron, resulting in an especially psychedelic version of a song that went on to sell hundreds of thousands of copies. Watch this rare footage of Steve Miller Band playing “Fly Like an Eagle” at the Capitol Theatre in Passaic, N.J. below.